US-based Eli Lilly has partnered with Roche Diagnostics on the development of an adjunct diagnostic tool for Alzheimer's disease. Both firms have collaborated on Roche’s ongoing development of a commercially scalable cerebrospinal fluid assay for amyloid-beta 1-42. The presence of amyloid, along with tau tangles, in the brain is a key marker of Alzheimer’s disease, which is a fatal illness that causes progressive decline in memory and other aspects of cognition. As part of the non-exclusive agreement, Lilly will take responsibility for certain milestone payments upon successful completion of key development objectives. 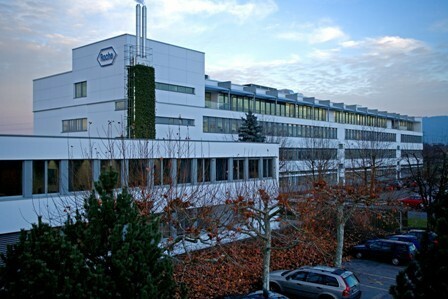 Under the deal, Roche will involve in the development, registration and commercialization of the new test. Lilly’s Alzheimer’s disease platform vice-president Phyllis Ferrell said: "We are excited to partner with Roche Diagnostics on this important test. "We share the same commitment to providing people with Alzheimer’s disease the best care possible, which includes detection as well as diagnosis and education." In January 2015, Roche partnered with Qualcomm Life to enhance remote monitoring and management of chronic disease patients. Under the deal, Roche is using Qualcomm’s 2net platform to seamlessly and securely capture data from a patient’s medical devices, starting with anticoagulation meters. This data will be transferred to Roche’s cloud-based back-end services. The 2net Platform is a secure wireless solution, which offers simple and efficient way to exchange relevant health information between chronic disease patients and their care team or clinic, and enable reduced therapy complications and total cost of care. Image: The administration and R&D buildings, Roche Diagnostics Ltd, Rotkreuz. Photo: courtesy of F. Hoffmann-La Roche Ltd.